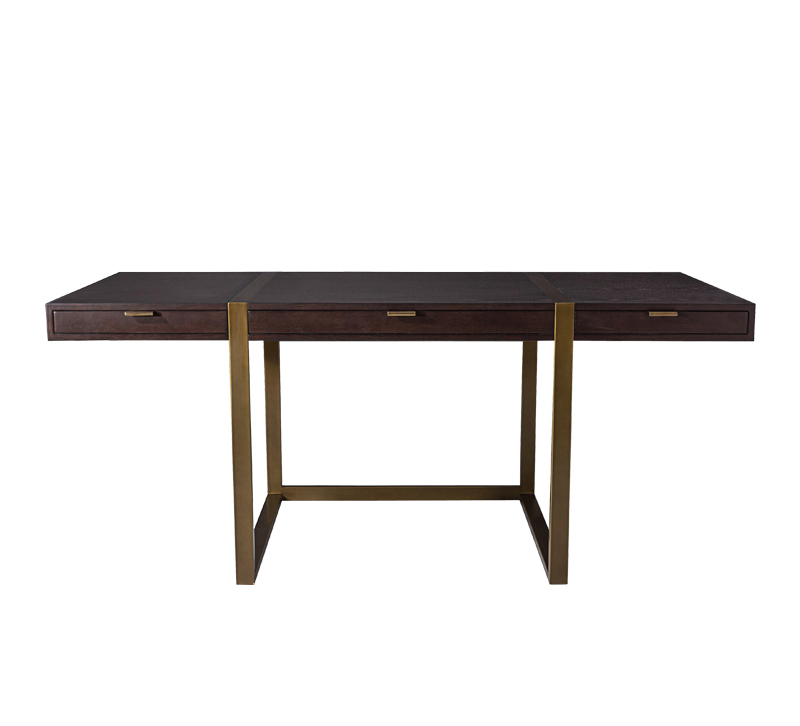 The Aged Brass-finished frame wraps around the top of the Mercer desk from Mr. Brown London. Sleek and compact, this desk measures just 59 inches wide and 30 inches in diameter. Available in Warm Dark Oak and Smooth White.